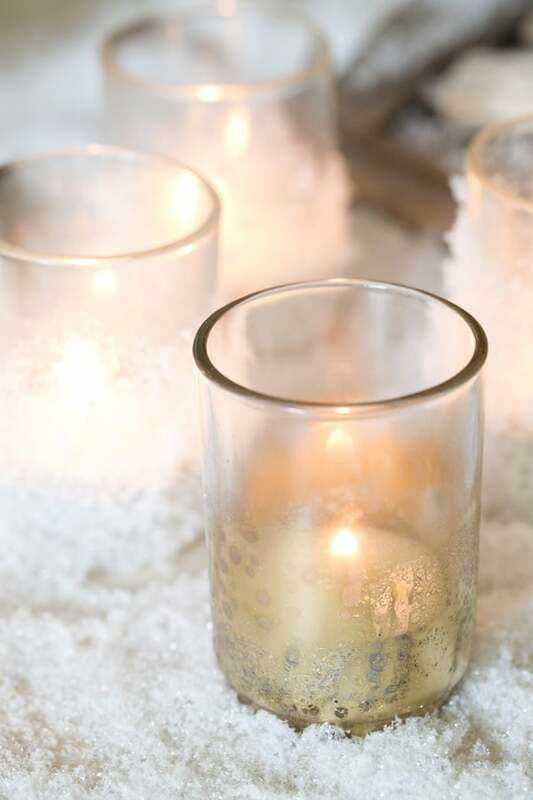 I’m loving these DIY holiday votives. We’re starting to craft and get things ready for our holiday party! Since I dream of a snowy day (born and raised in Cali = no snow days EVER! ), I wanted to incorporate snow into the decor. 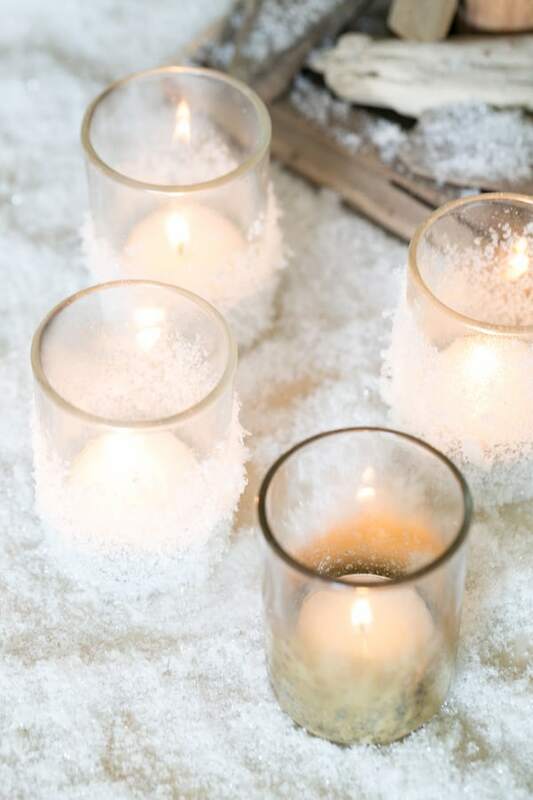 We made these extremely easy snowy votives to go on the tables. They’ll add some holiday charm to the theme ; ) We also made some gold ones inspired by a gold mercury look, which believe it or not are easier to make than the snowy ones! Read below for the how-to and happy holiday crafting! 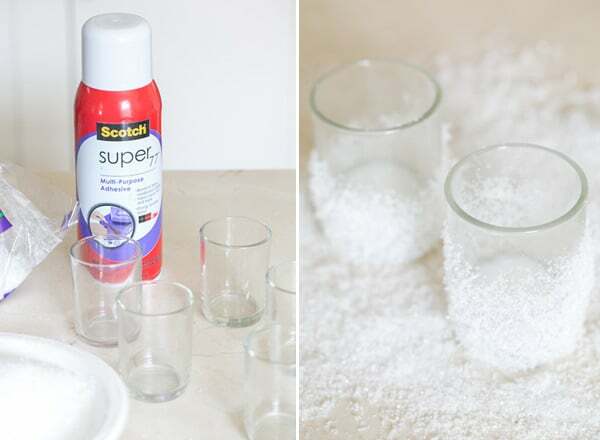 Spray the votives halfway up, then dip in a bowl of fake snow. Spray the outside again, so it adheres all of the snow to the votive. Let them dry completely before using. 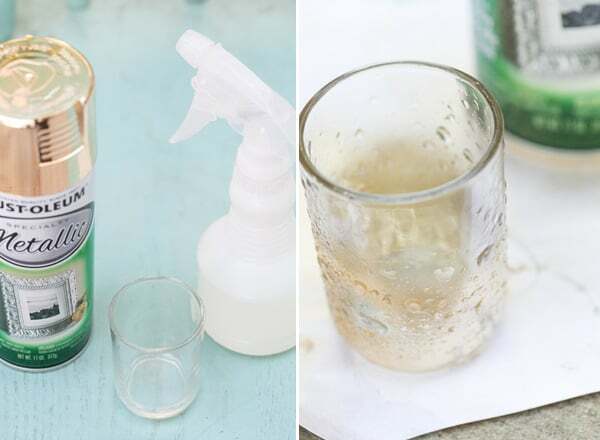 Spray the votives with metallic gold spray paint. Then while it’s still wet, lightly spray the painted area with water. Let it dry. 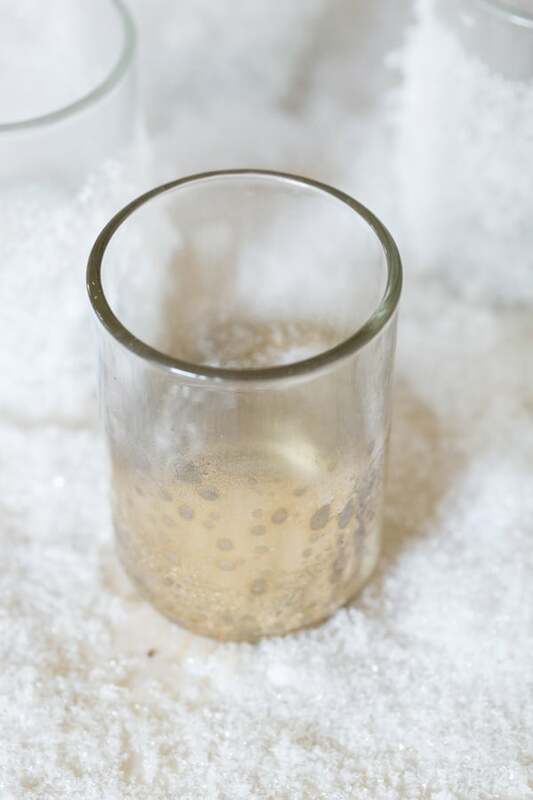 i will try the method of making the mercury glass the way you’ve indicated. 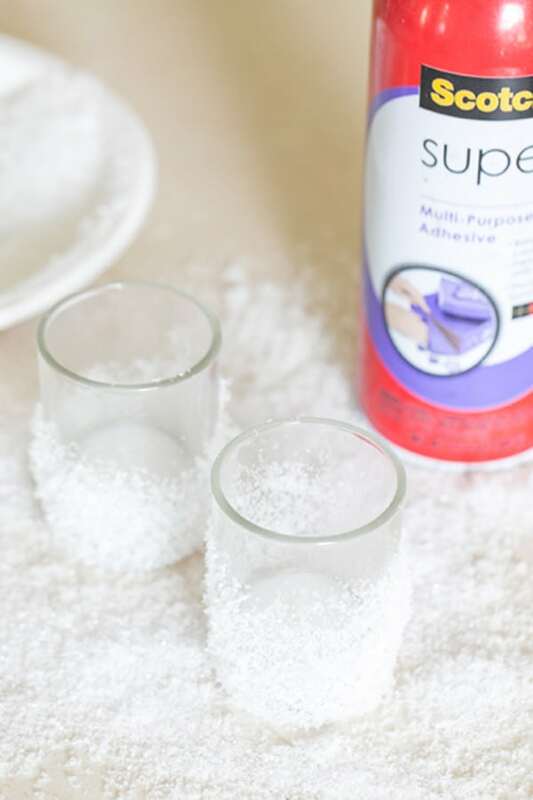 i’ve always sprayed the glass with water first, then sprayed with paint….think i like your way better!